Why Should You Choose the Michelin X® Multi™ Z Tyre for Your Fleet? Robustness of casing thanks to POWERCOIL™ and compact tread pattern. Stone ejector reducing potential for accidental damage. Wider shoulder ribs improve resistance to accidental sidewall damage. Full depth Delta sipes provide lasting optimal grip in the wet. Low level of noise thanks to a more compact tread pattern that reduces land/sea volume and movements of blocks. 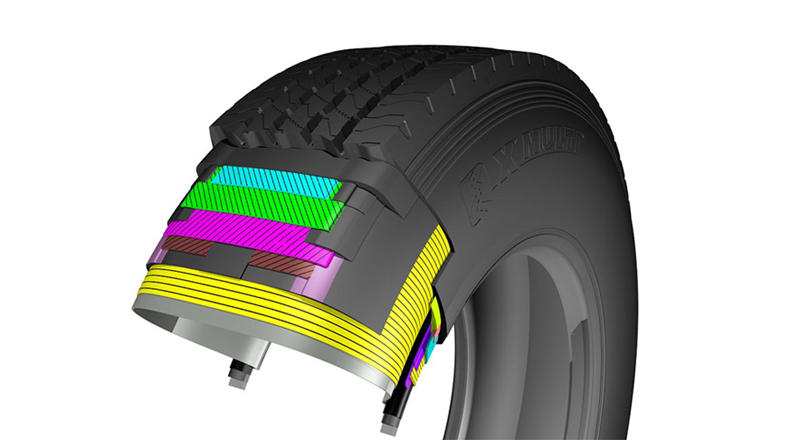 A wider tread, to provide a better footprint and improved lateral grip. Double wave sipes, located in the tread blocks, improve rigidity and mileage potential whilst remaining flexible to grip in all weather conditions. Superior casing longevity for an improved fatigue resistance crown architecture and bead reinforcement thus better resistance to crown and bead separation damage for maximised casing retreadability. Unique groove rib and shoulder stone ejector prevents stone trapping and stone drilling, thus improving casing retreadability. In addition to lower cost per kilometer, the Michelin X Multi Z tyre provides better fuel saving due to new low rolling resistance tyre design technology which further lowers the overall tyre cost of operation.